Last edited by Maya; 04-17-2018, 12:22 AM. I’m curious about it. Many ambiguous posts. Have you ever done something for the theatre before? It’s complex, you know. Because directors are thinking different than musicians. They think with their eyes, while we think with our ears. So it’s tricky. But in the long run it works. And how did it come about? Till’s daughter, Nelle, is involved in this project. She is like one of the chiefs for it. So he wants to support her. And he said to me like, “Hey! You’re supporting your son, now you have to help me with my daughter”. So we wrote some stuff together. Is it the same as before: you write the music and Till writes the lyrics? And now you are doing something else as well? Yeah. I think we are trying to complete them out… today! 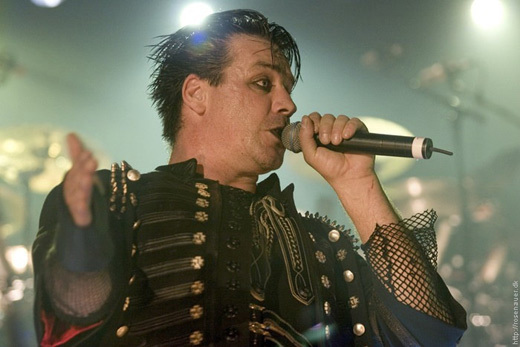 But it’s not gonna be called Lindemann though. Yeah. It will go with the theater thing. But this is a year ahead right now. It’s not gonna happen till next year – after Rammstein release an album. But the theatre has a premiere, I think, about April 15, 2018. So 5 songs will be there. Well, these are, definitely, interesting news! It’s kind of complex to talk about. But you know – something is happening, for sure. Plus they are making the Rammstein album right now, you know. Getting into the fine-tuning of the last parts before they enter the studio and stuff. So it’s exciting! Aufgepasst – in unserer nächsten Premiere gibt es ganz schön was zu sehen (oder wen?). Weitere Einblicke gewähren wir in der kommenden Woche. Rammstein Belgium translation: Beware - in our next premiere there is quite something to see (or who?). Further insights will be provided next week. All times are GMT+1. This page was generated at 05:04 PM.